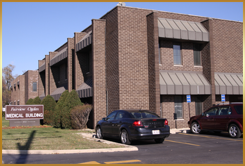 Our ob-gyn patients visit us from Lombard, Downers Grove, Hinsdale, Naperville and Oakbrook in DuPage County, IL. We encourage, honor and welcome your referrals. For more information about our obstectrics and gynecology services, call Women Ob-Gyn Associates today at 630.719.9229 or use our online Request an Appointment form.